California wants to turbocharge electric trucking by offering a $398-million round of incentive funding for buyers of the green vehicles. It’s part of the state’s plan to promote technologies that can reduce the harmful effects of diesel emissions. 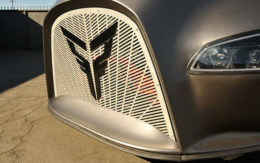 Such incentives are expected to encourage the purchase of electric trucks and powertrains like those that Tesla Inc., Cummins Inc., BYD Inc. and Mitsubishi Fuso are planning or are already selling. Electric heavy-duty trucks typically sell for 20 percent to 30 percent more than comparable diesel vehicles. The incentives will help offset the difference. The funding also will underwrite sales of clean natural gas trucks and other green technologies. 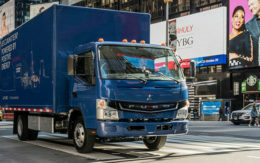 “Zero-emission vehicles in the medium- and heavy-duty sector are more expensive than conventional vehicles, but the technology is improving at such a rapid pace that it’s only a matter of time before we reach cost parity and even a favorable cost position,” said Andrew Swanton, vice president of truck sales at BYD. Shippers are starting to show increased interest in green trucks. Anheuser-Busch last week said that it has placed an order for 40 Tesla semi-trucks as part of a company-wide strategy to reduce the environmental impact and increase the efficiency of its operations. That represents about $6 million of business for Tesla. Trucking companies have found the incentive programs helpful as the price of diesel has remained low. That’s made it difficult for motor carriers to justify replacing their diesel vehicles with expensive new models using other fuels and powertrains, said Michael Held, a director at global consulting firm AlixPartners. Even at current pricing, fuel — predominantly diesel — is “the single highest cost element in trucking,” Held said. Incentives can help the case for clean fuel technology make economic sense, Held said. The funds California has earmarked for green trucking represent an increase from $150 million in the 2016-17 fiscal year. Although it has the largest program and the most money, California isn’t the only state hoping to speed the move toward lower diesel emissions by offering incentives for alternative technologies. But because it is the biggest marketplace for clean truck technology, there’s considerable interest in how the state chooses to spend its incentive money. The state’s Air Resources Board is slated to act Thursday on staff recommendations for disbursing the incentive funding. Equipment manufacturers and industry analysts say that state and federal regulations aimed at improving air quality would eventually result in cleaner trucks. But they said incentive programs are an important factor in commercialization of the technology. A least 15 other states have some form of incentive program for private operators that can help offset the higher costs of cleaner trucks. The incentives include sales and use tax exemptions. They award grants to help pay the cost of installing alternative fuel infrastructure such as natural gas pumps and electric charging stations. The funds also offset the cost of replacing a standard diesel truck with a clean emissions truck. New York and the regional government agency overseeing the greater Chicago metropolitan area both operate hybrid and electric truck incentive plans similar to California’s. The federal government also runs a significant program under the Diesel Emissions Reduction Act that provides funding to individual states to replace older, dirtier diesel engines with the new generation of clean diesels that meet federal emissions standards set in 2010. Since its inception in 2008, the DERA program has provided more than $600 million to participating states. This year, the federal total was $15.1 million, apportioned to 43 states. Nationally, a huge new pool of incentive money will become available from the Volkswagen diesel emissions cheating scandal settlement. The automaker was caught last year falsifying Environmental Protection Agency emissions tests for more than half a million VW and Audi diesel engine passenger vehicles sold in the U.S. from the 2009 through 2016 model years. VW agreed to pay close to $20 billion in fines and restitution to buyers of its cars. It set aside $2.7 billion to be used by the individual states for programs to reduce NOx emissions from heavy-duty diesel sources, including trucks, buses and locomotives. NOx, or nitrogen oxides, are particularly harmful tailpipe emissions produced by diesels in much greater volume than by gasoline vehicles. The emissions can cause respiratory system damage in humans, and contribute to smog and acid rain. The VW settlement money is allotted based on the number of registered VW diesel cars and SUVs in each state. California gets the biggest slice, $423 million, and hasn’t begun deciding how to use it, although proponents of clean diesel and the various diesel alternatives have begun arguing for their share of the pie. The settlement calls for the funds to be used over a 10-year period starting in 2018. “If this incentive money disappeared, it would be a real blow to the pace of technology introduction” said Bill Van Amburg, senior vice president and head of trucking programs for Pasadena, Calif.-based clean transportations technology coalition Calstart. Air-quality regulations and concerns about the effects of climate change are driving the push for cleaner truck emissions. “We will see the transition happen, but progress would be stalled without incentives,” Van Amburg said. There are about 950,000 commercial trucks registered in California, and the vast majority are powered by diesel engines. State law says that in 2023 and after, only trucks meeting or exceeding 2011 diesel emissions standards will be able to be registered in California, but today only about a quarter of registered trucks meet that criteria, said Allen Schaeffer, executive director of the Diesel Technology Forum. The trade group advocates for continued use of — and incentives for — diesel trucks using emission-reducing “clean diesel” exhaust treatments and cleaner fuels, including biodiesel. Schaeffer believes California’s policies promoting electric and low-emission natural gas over clean diesel are counterproductive. For now, California’s incentive money comes largely from the state’s carbon cap-and-trade program. It collects funds by auctioning permits to companies that emit carbon in excess of state-set limits. The Air Resources Board will be considering an allotment of $663 million, of which $398 million is devoted to clean truck programs. The remainder is for passenger vehicles. The air board staff has recommended that $188 million of the truck total be earmarked for the hybrid and zero-emission truck and bus voucher program, or HVIP. It issues vouchers to purchasers of qualified clean trucks and buses to be used at the time of purchase to reduce the initial acquisition cost. The program has already helped fund purchases of 3,400 clean trucks, said Van Amburg. His organization administers the California HVIP as well as the New York and Chicago clean truck voucher programs. Additionally, California has already invested $567 million in Proposition 1b funding since 2006. That has financed the upgrading and retrofitting of 12,500 diesel trucks and 445 natural gas trucks. Trucking interests are asking whether the money the agency is devoting to clean vehicles will be enough, said Peter Christensen, manager of advanced technology incentives for the Air Resources Board. “We are seeing an increase in demand for these clean trucks that we’ve never seen before,” he said.